Welcome to the third developer update for Senescent Link! It's been a long time coming so I'd like to first off say sorry for the wait. I was hoping to have an update ready to go right at the start of this year but unfortunately I was unwell and missed about 2-3 full weeks of being able to work on the game. This sadly set me back quite a bit but I'm all better now (fingers crossed) Now that that's out of the way let's get into the cool stuff. 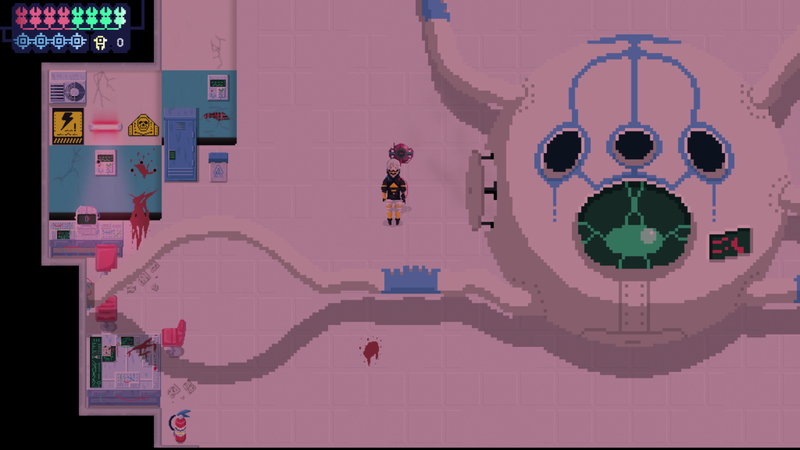 As you can see from the main image for this update I finished a little animation, this plays right before encountering the first boss of the game! More on that at the end of the update though. Preserver: A new enemy reveal, an American made Police robot named the Preserver for Its duty to preserve peace and justice, or at least that was it's original goal. 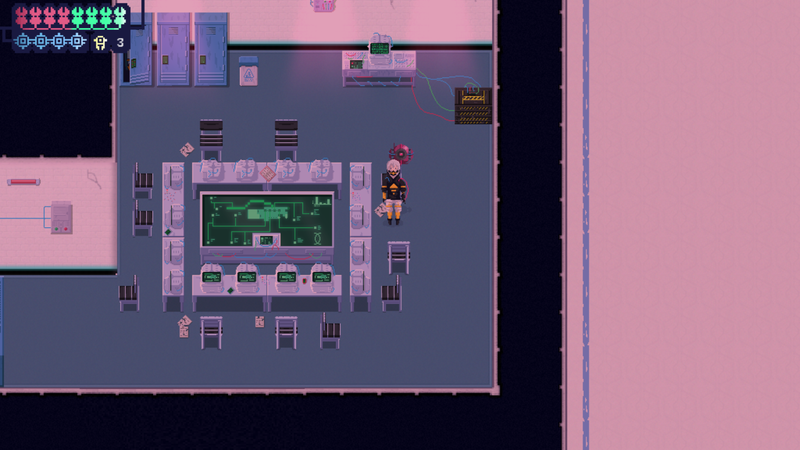 You'll find plenty of these guys patrolling the facility known as Panacea inc. Their AI may not be that great, and they can be easy to sneak around. They will become a great danger if you are spotted by them due to their one-two combo of firing a stun bullet which will cause the character to become immobile for a second or two, allowing them in that time to shoot and attack you with a more...permanent way of stopping you. You may be thinking "But Brave Ghost...can we only sneak past these enemies?" Don't worry! Combat is in this game and it unlocks very soon after encountering the preserver, after some puzzles of course. You unlock an experimental and unfinished piece of tech known as the P.R.C.G A wearable glove that will allow you to permanently freeze all motor functions of a target, overheat and destroy a target and take control of certain downed robots you find around the levels, be weary of the amount of charge the weapon has left, as certain attacks may drain it faster than others. You'll also unlock attachments to increase said charge or the effectiveness of this piece of tech! That's all for now! This will be my last large update for some time while I finish working on a workable demo for the game for the kickstarter. But that doesn't mean their wont be plenty of smaller updates coming out from now till then! So until next time, Goodbye!